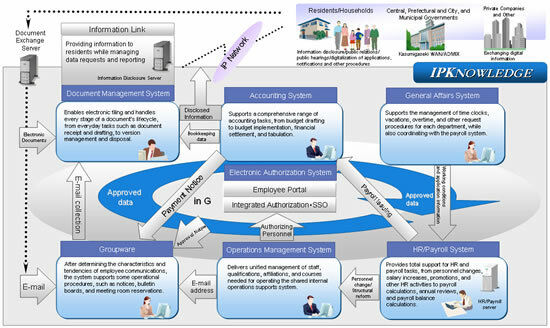 Fujitsu and Kakogawa City Hospital Organization today announced the creation of a new HR and payroll administration system using IPKNOWLEDGE, Fujitsu’s internal data consolidation solution for public sector institutions. Kakogawa City Hospital Organization is a local independent administrative institution formed through the merger of the former Kakogawa Municipal Hospital (a public hospital with 405 beds) and the former Shinko Kakogawa Hospital (a private hospital with 198 beds). IPKNOWLEDGE enabled the personnel data of the two hospitals to be consolidated within a time frame of six months to create a new HR and payroll administration system. 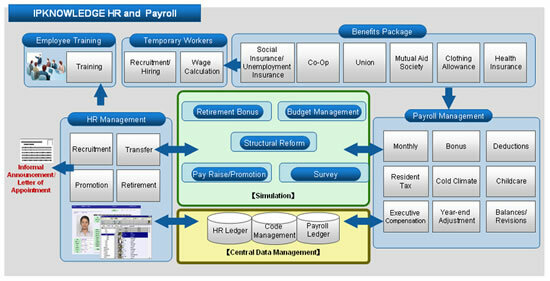 The new system has led to shorter payroll calculation times, resulting in substantial improvement in the efficiency and speed of HR and payroll operations. Fujitsu is leveraging the expertise it has accumulated with local governments and independent administrative institutions to provide consulting, system configuration, and operational support services to optimize ICT environments and make operations more efficient.